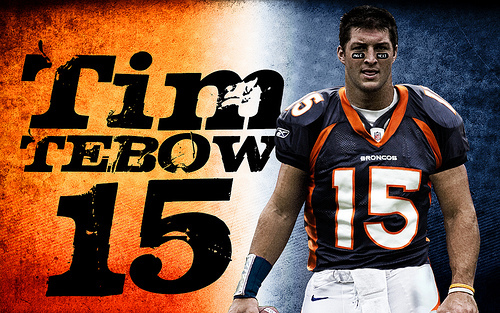 Tim Tebow is traded to the Jets just a week after Payton Manning signs with Denver. This comes as no surprise, as all indications pointed towards a new home for the former Heisman trophy winner. Tim Tebow, traded to New York after Denver emptied their pockets to sign the great, but physically questionable Payton Manning. Tebow absolutely has to take the “good guy” award in all of this drama. The former national champion of Florida and first round draft pick, has basically been dispatched from Denver. How well has he handled it? This is Tim Tebow we are talking about here. He is handling it like the rock star that he is. If anything, you could say he is excited to be a New York Jet. It’s hard to believe Tim Tebow is gone, just like that, after turning around the Broncos season and leading them to a big time win in the playoffs last year. , and just is not that type of guy. Tim Tebow is a character guy. He has not taken any shots at Denver for trading him, at least not in the eye of the public, and that is what you should expect from the man. Tim Tebow has once again showed his toughness in a situation where he might as well be angry, and/or a little upset, and probably deserved to throw a cheap shot towards the Broncos, but has not showed anything but smiles and happiness to reporters, and TV cameras. This is big, considering that he is going to be playing in New York, the place where if you show any sign of weakness, they will smell blood in the water and tear you apart mentally. Is Tim Tebow equipt to handle the bright lights of New York City? If I were to guess, I would probably say yes. He seems to handle everything like a champion. I think with the following he already has, and the way the media is just downright enthralled by this guy, I can see him fitting in well in New York. Let’s put that stuff aside and talk business on the field. The reality of it is, the Jets have Mark Sanchez. He has been a pretty solid quarterback for the Jets. I can’t see Tim Tebow taking Sanchez’s job any time soon, which would mean that Tim Tebow would be a back-up once again. There is talk that they might have Tim running a variation of the wildcat offense at times throughout the season. As some of you may know, I despise the wildcat. Any coach that thinks it will work is naive. The Dolphins tried it a few years back and it worked great for a few games, but you are only going to have limited success if any. The bottom line is the Jets have confidence in Mark Sanchez. They just gave him 40 million dollars to be their guy. In my opinion the move to get Tim Tebow was just a way to motivate Sanchez, because really he hasn’t had any competition, or pressure over his starting job in his entire career. Tim Tebow will definitely put up a good fight to win the job, but will most likely be playing second fiddle to Mark Sanchez in the end, and running the wildcat offense until Rex Ryan figures out that it doesn’t work. Why not just make him a fullback? Aside from Tim Tebow’s great attitude and toughness, he has the work ethic of a super hero. The guy is ridiculous in the weight room, and this could provide dividends to other players on the team if they train with him, because I believe he is still going to be a big time leader in the locker room, even if he rarely gets to play. This could also be a huge reason why the Jets wanted this guy. The Jets have next to no team chemistry, and the locker room vibe was a total mess last year. They are not exactly oozing with “character” guys. Tim Tebow could play a big part by helping to give that locker room an attitude adjustment, with his positive influence. If he does get to play, great. He has proven to be a capable quarterback with the ability to win some games, and who better to have as a back-up? As for the relationship with him and Mark Sanchez. I think the media made way to big of a deal about Sanchez’s feelings being hurt, and Sanchez being disrespected by New York. These are grown men guys. Two battle tested athletes who are going to co-exist just fine. Sanchez got 40 mill. from the Jets, that’s a pretty great way of showing “disrespect” to your starting quarterback. Supposedly they have somewhat of a friendship dating back to their college days. In any event, Sanchez has been given competition, and the fans in New York know about Tim Tebow. Sanchez better step up, and if he struggles out of the gate, he will be hearing, “Tebow “Tebow” “Tebow”. Just like Kyle Orton did last year for Denver. Tim Tebow playoff run written in the script somewhere. I doubt it, but you never know!